The Facebook News Feed is dying out, and may soon be gone entirely. 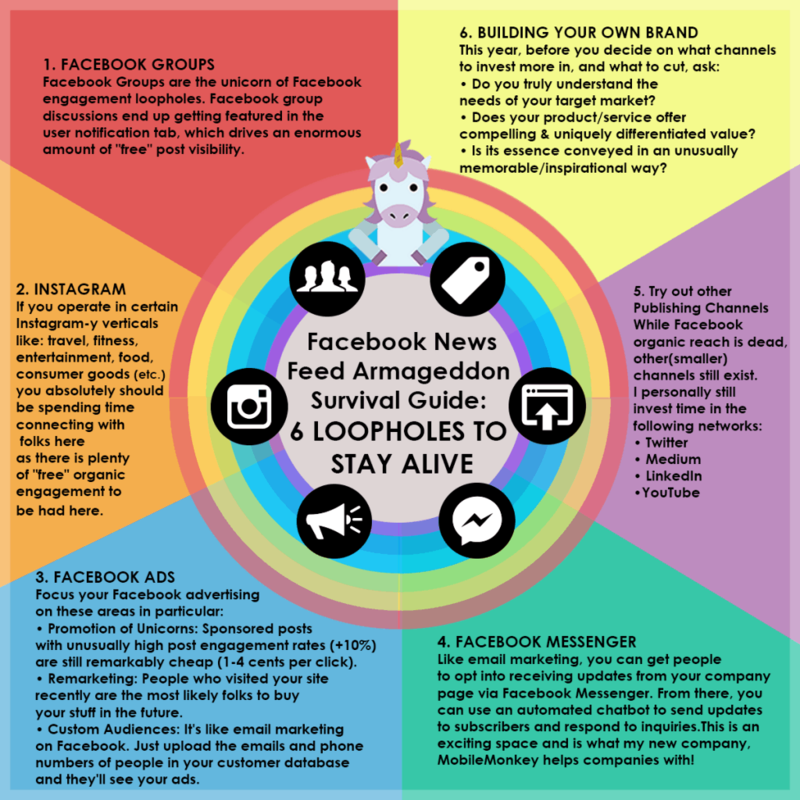 In this post, I’ll explain why I’m making this assertion, the events leading up to the death of the News Feed and what it all means for the future of Facebook marketing. I'll also outline four takeaways that will help boost your marketing in a post-News Feed era. If you want to better prepare yourself, and your business, for the next stage of Facebook marketing, this is the post for you. Let me lay out the issue in a single sentence: Facebook is restructuring all the leaders of its business to support a new focus on messaging and privacy. The News Feed has been in decline for years, with publishers and marketers all too well aware of the reductions in reach as Facebook has sought to continually realign its systems in order to prop-up audience engagement. We get it, people don’t see our organic posts anymore - but what makes this latest shift anymore significant than the many other News Feed changes in recent times? In the past, whenever the News Feed algorithm was updated, it was usually preceded by a Mark Zuckerberg jeremiad about friends and family being at the core of the Facebook experience, or a variation on that theme. Above all else, Facebook needs to maintain that personal connection capacity in order to keep people coming back. Facebook knows this, and you know it too - but in recent times, more of that personal sharing has actually shifted away from the public nature of the News Feed and into private forums. Case in point: The big four messaging apps are now seeing more usage that the top four social tools. That shift has lead to a significant re-focus at Facebook - seeing the momentum swing towards messaging, Zuck and Co. have announced a swathe of staffing moves directly aligned with this change. What kind of moves? Here’s an overview of the Facebook management shuffle that's all taken place within the last year. 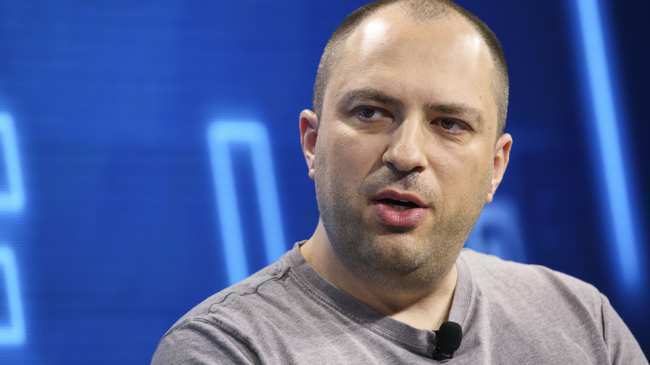 Koum became into a billionaire when Facebook bought his and co-founder Brian Acton’s startup WhatsApp back in 2014. 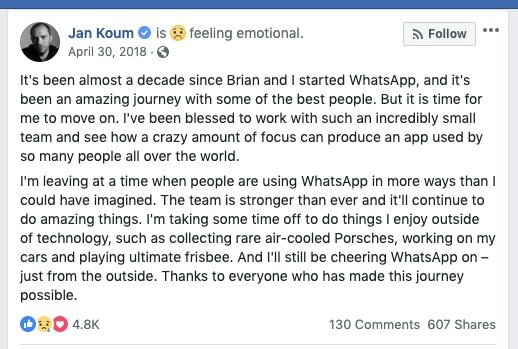 Now Koum is spending more time playing ultimate frisbee than he spends tweaking his app. And Brian Acton jumped ship, too. It was no secret that Koum and Facebook’s old guard crossed swords when Facebook started tinkering with WhatsApp’s most notable feature - ironclad encryption. Daniels became Koum’s replacement - but not for long. On the day that Fast Company called “ugly Thursday,” Daniels cleared out his desk and walked out the door. 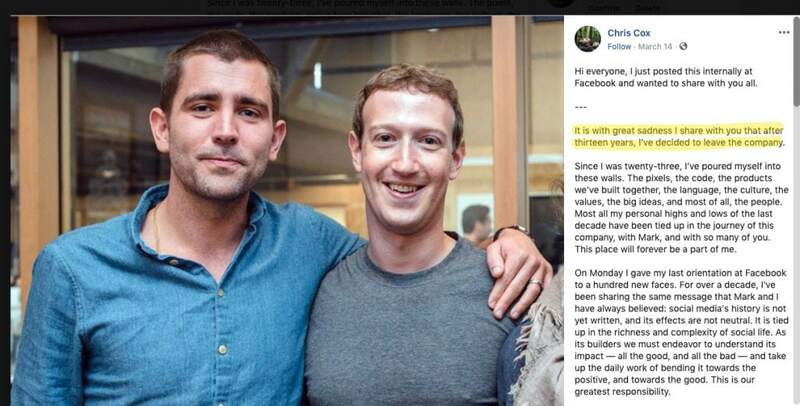 Chris Cox was engineer hire number 13 at Facebook and he spent 13 years at the company (let’s not go all superstitious about the string of 13s). Cox is also now the highest ranking company officer ever to resign. He held the Chief Product Officer role, just one door down from Cheryl Sandberg, Facebook’s COO. 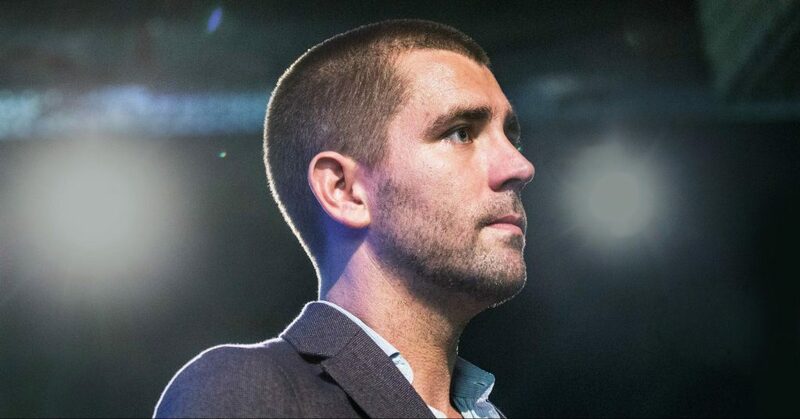 Chris Cox was a legend at Facebook - one of the most admired, and most trusted leaders the company knew. Those are just some of the changes that have been going on in Menlo Park. And in his typical saturnine style, Zuckerberg described a few of those changes in a Facebook Newsroom post. The VPs of Instagram, Messenger, and WhatsApp will all report directly to Zuckerberg. Zuckerberg doesn’t upset the applecart for no reason. "Cox helped design the first iterations of the News Feed and oversaw it during its most successful phase. It will not disappear overnight, and at its enormous scale may demonstrate a Yahoo-like endurance. But with Cox’s departure, its days as the central organizing principle of Facebook are now officially behind it." To put it simply, these organizational changes indicate a massive new shift in Facebook’s direction. Eventually, the News Feed may well disappear entirely, and be subsumed by the primacy of messaging. The News Feed has been a fixture of Facebook almost since the very beginning - thus, its sunsetting seems to make zero sense. Why would they bury it? It’s like Apple killing off the iPhone or Coca Cola discontinuing their Coke product. One reason that needs to be stated right off the bat - the News Feed is really controversial. It’s hard to blame the News Feed and the News Feed algorithm directly for all the platform's ills, but definitely, it's played a part, and it’s no longer viewed as the bringer of truth and connection that it was intended to be. For Facebook, that needs to change. An algorithm tweak won't be enough - the News Feed is an existential legal threat to Facebook’s ongoing viability in the modern age. That’s the negative side of the coin, but obviously, Facebook is presenting a more positive viewpoint. In his lengthy post, Zuckerberg uses derivatives of the word “privacy” seven times, and derivatives of the word “messaging” four times. 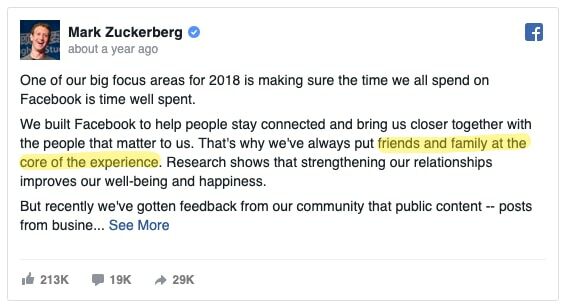 And look, as much as Mark Zuckerberg talks about human connection, and family and friends, Facebook is, at core, a business, and businesses have to make money. Facebook makes money, not from grandmothers fawning over photos of their grandbabies, but from businesses - the institutions that want to sell stuff. And we businesses fork over a load of cash - billions of dollars each year. As an alternative to the News Feed, Facebook is offering businesses the potential to use messaging to more effectively reach their customers. And, with all three messaging apps merging under a single infrastructure, businesses will soon be able to reach more customers via mesaging than ever before. 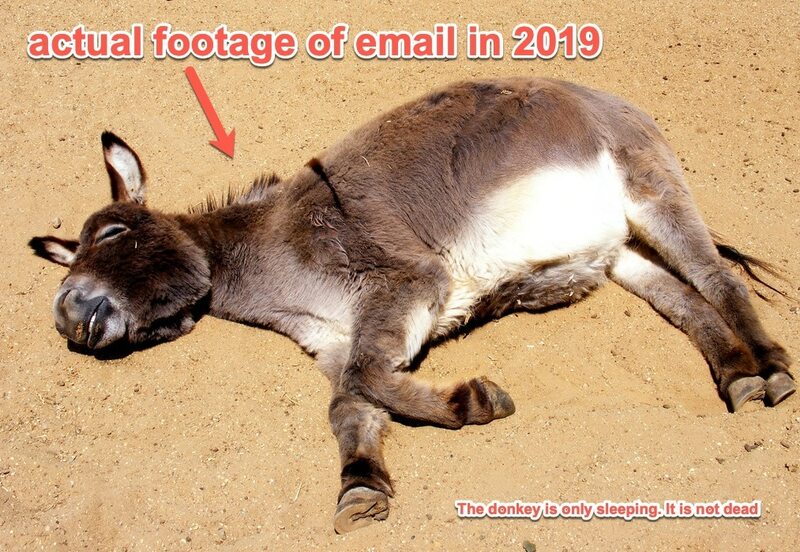 Every email marketer that I know is disgusted with abysmally low open rates and click-throughs - email is just not working as well as it once did. So who’s responsible for poisoning the well of email marketing? 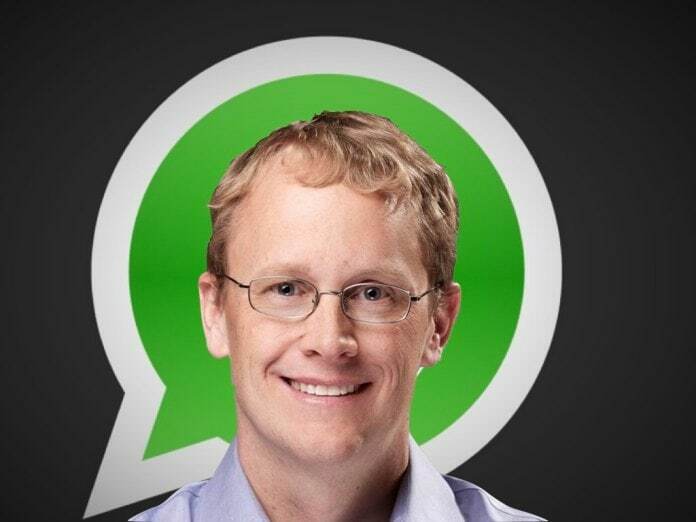 Messaging apps - and the biggest culprit? Facebook Messenger. 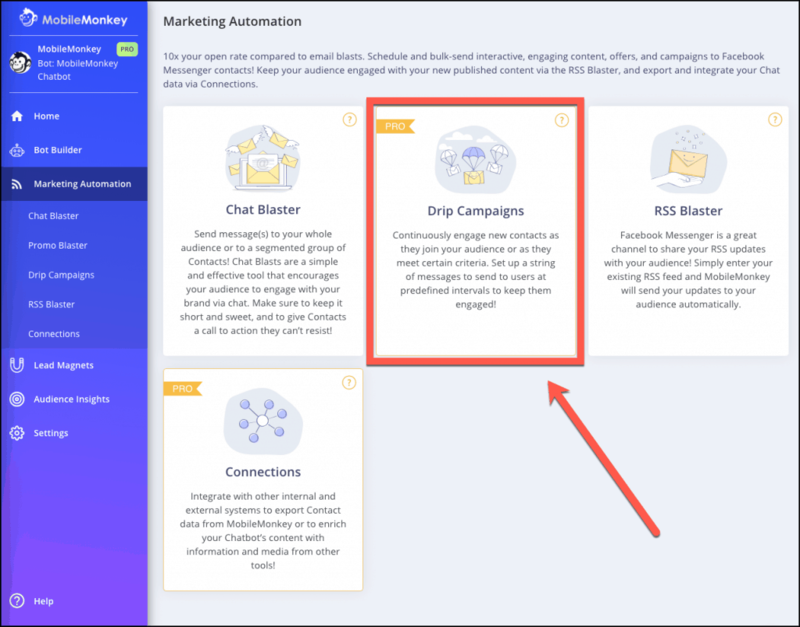 Rather than getting all huffy about it, smart marketers are out there churning out Facebook Messenger chatbots, creating Messenger drip campaigns, sending chat blasts, and tapping into the next shift. The future is not dire. 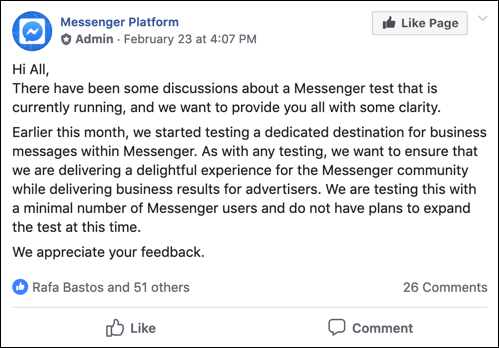 In fact, if you’re already adapting to Facebook Messenger marketing, you likely have nothing to fear - but if you’ve been hoping that organic Facebook posting is going to cut it, then you will have to adjust your expectations. We’re entering a new era of marketing, which will be ruled by Facebook Messenger, not the News Feed. Here are four Facebook Marketing Power Tips that will help power your future marketing efforts. If the News Feed is dying, what are you going to do? Find a way to reach your customers that doesn't involve the News Feed, right? 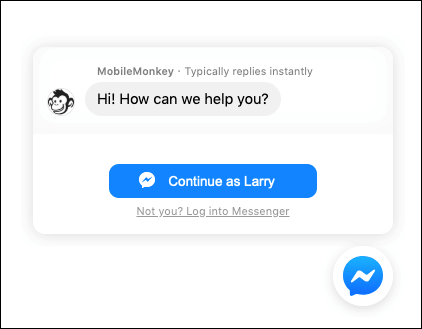 And the most effective way to do that is through Facebook Messenger - and the most effective way to use Facebook Messenger is with Messenger chatbots. Obviously, given my company (MobileMonkey) this is where I see things headed - so much so that I'm betting my future on it. 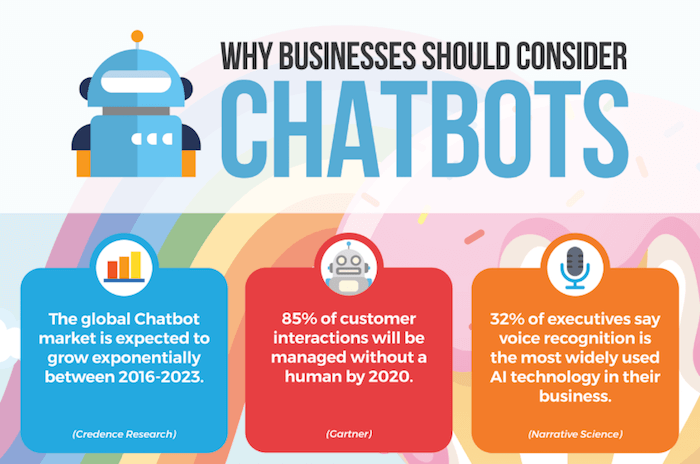 Chatbots are, indeed, the future of marketing, and the future of marketing is now, especially as the News Feed sails into the sunset. Facebook knows it, now you know it too - and there's no excuse not to get involved. Yes, there are loopholes that will enable you to stay alive. Quick disclaimer: Boosting posts is a legitimate method for maintaining your Facebook marketing presence as long as the News Feed remains alive. However, you need to be strategic about this. Don’t just boost a post for kicks, boost posts that have a comment guard on them. 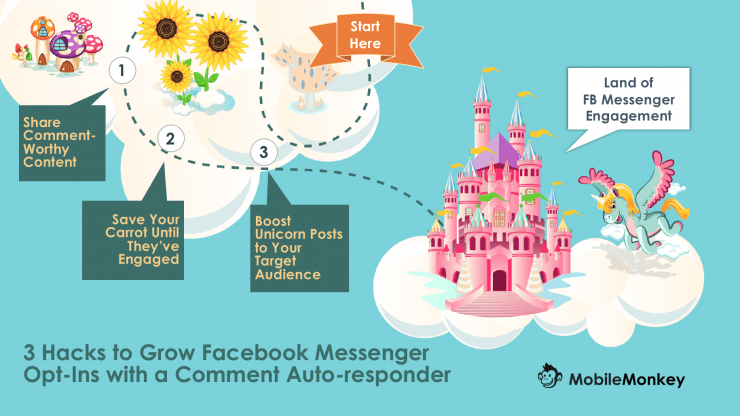 With a comment guard - also known as a Facebook post autoresponder - anyone who comments on your post is invited to join your Facebook Messenger list. I’m not suggesting that you fire your email person, or delete your email list (definitely not). Anything you can do with email marketing, you can do with Facebook Messenger marketing - only better. Start a drip campaign and nurture your contact list through to conversion. Also possible - you can easily create a blast that pings your Messenger contact list with news, tips, or a topic that’s on your mind. Once again, with engagement rates like these, it simply doesn't make sense to avoid Messenger bots. The demise of the News Feed signals a new beginning for messaging, and Facebook’s pivot to messaging is concurrent with the nadir of email marketing’s effectiveness. 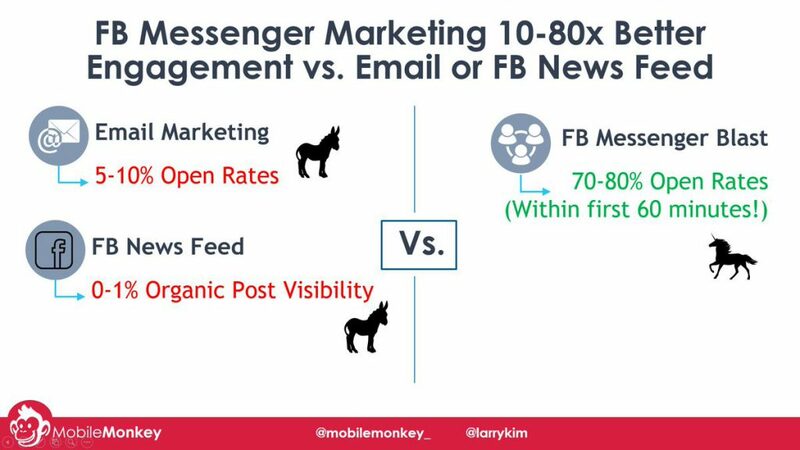 Now's the time to jump into messenger marketing like your marketing success depends on it - because it does, and it will into the future as things progress. Today, I focus on Facebook Messenger list building. It’s easier, cheaper, and the results are far more effective. Every month, I gain around 5,000 new Messenger contacts - for free. Most of this happens on autopilot - on the MobileMonkey website, there's the chat widget in the lower right-hand corner. Opening a conversation adds you to my contact list. If you have a WordPress site, you can add a similar chatbot to your website for free. Messenger list building is the new frontier of marketing, because that’s where your audience is, that’s where they’re most active - and that’s where you’re going to have the highest engagement rates and conversions. The News Feed era is over. Long live Messenger Chatbots. One of the most innovative and powerful tech companies in history is shifting its focus right before our eyes - Facebook is slowly shifting away from its most innovative and enduring feature. And it's pivoting to messaging. A version of this post was first published on the MobileMonkey blog.